While pregnant with my most recent baby (#3 a baby girl!) I spent several early mornings hand painting a focal wall in her nursery. I was loving the look of Anthro's floral wallpaper but not the price. I also wanted something original and unique for her. So for just $20 I created my own take on the water color floral trend! 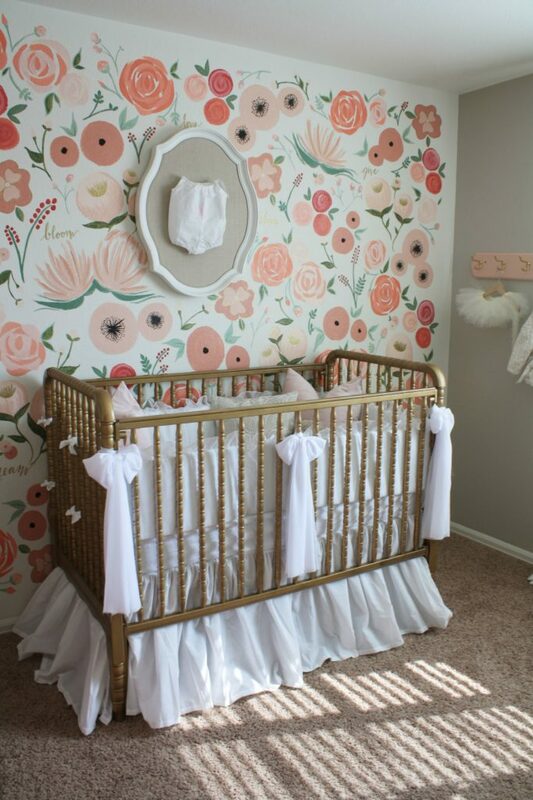 Her room is so pretty and girly and with two brothers before her, this momma is very happy with that! What colors of paint did you use? I’ve been searching high and low for a perfect peach and I really like a few in your floral wall. You did an incredible job!